The Subaru Outback is the iconic wagon-styled crossover SUV. It may have its imitators, like the Toyota Venza, but the Outback always stands above the competition (and at a lower price, too!). 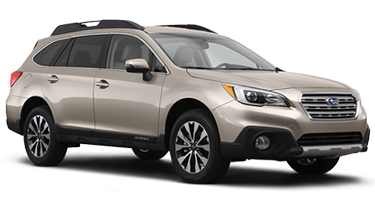 We're proud to carry the impressive Subaru Outback here at Carlsen Subaru; keep reading to find out more about how it compares to the Venza; then, when you're ready to take a test drive, head to Carlsen Subaru! The Venza is modeled after the same wagon-based design that made the Outback the distinctive legend that it is; as such, they have similar dimensions--but the Outback has a tighter curb-to-curb turning circle. In addition, the Outback has a slight edge on passenger volume, front headroom, and front legroom. 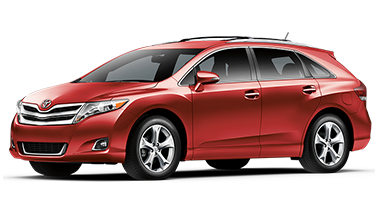 The Outback also features rugged and useful design features like standard integrated roof rails--features that the Venza lacks. When it comes to design, it's hard to beat the Outback. When it comes to performance, Subaru has the edge. The Outback comes with your choice between two SUBARU BOXER® engines; the horizontally opposed design of the SUBARU BOXER® engine cancels out vibrations while providing plenty of power. The engines on the Venza may have slightly more horsepower than those of the Outback; however, the Venza is also heavier, so that extra horsepower has to be used simply to drive the Venza around. In addition, the Outback comes standard with symmetrical all-wheel drive at every level; all-wheel drive is an available feature on the Venza, but it costs more. Your safety is a top priority, and Subaru is proud to be the only manufacturer that had every vehicle it made on the 2015 IIHS Top Safety Pick list. When equipped with the legendary EyeSight driver assist system, which acts as a reactive extra pair of eyes, the 2015 Subaru Outback earned the prestigious title of Top Safety Pick+ from IIHS, marking it as one of the safest vehicles on the road today. The Venza, on the other hand, did not make the IIHS Top Safety Pick List. And with features like Bluetooth connectivity, you can be sure that the Outback has your back no matter where your adventures take you. Carlsen Subaru is the place to go for all things Subaru in the San Francisco Bay Area! It's easy to choose the Subaru that's right for you from our huge selection of new Subaru vehicles, and our frequently updated special offers will help you save even more! If you'd prefer to buy used, you can always look through our variety of used vehicles and Subaru Certified Pre-Owned vehicles. Carlsen Subaru, near San Mateo, is here for you throughout your entire Subaru experience; not only do we have a cutting-edge service center, but we also have a parts store where you can find genuine Subaru parts, chemicals, and accessories. When you're ready for a test drive at Carlsen Subaru, serving San Francisco, you can give us a call at (888) 520-5916. Then, come by our location at 480 Veterans Blvd, Redwood City, CA 94603--it's well worth the trip from Oakland or Fremont!